Home Educational Talks Why A Student Should Study IT In Canada? This article will explain why a Brilliant Student should take IT as a Career in Canada. Choosing Right Degree or Diploma can lead a student for a Bright Career in Canada and Saves the Student to do low-level jobs. This article provides you information about the IT Sector which is a Growing Industry in Canada. Technical Highly Skilled & Educated Employee earns more than double the average Non-Tech Salary Employee. In Toronto between 2011-2016, Total Technical Occupation was 2,12,500 with 31.8% Growth Rate with Average $82,385/year Salary while Non-Technical Occupation was 3,28,100 with Growth Rate 4.6% with Average $ 58,205/year Salary. IT Professional like Software Developer with 3 or 4 years experience can earn $90,000/year in Edmonton, Ottawa & Calgary. Waterloo Region, A Tech Innovation and Star-Up Hub was the fastest growing Tech Labor Pool (65% increase in Tech or IT Jobs) in Canada. The Canada Government is providing many facilities to new Business Start-Ups. So more and more companies are moving towards Canada for business. That's Why IT or Tech Jobs will be more demanding in the future. 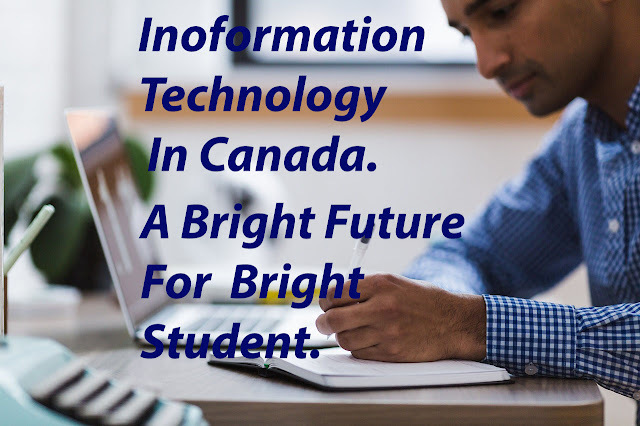 A Major Benefit of IT Career in Canada is that This Career Can Give Easy PR to Student after 1-2 Year Experience. The IT Professions such as Software Developer, Web Developer & Designer, Graphic Designer, and Database Analysts etc. will be retained for a long time in The Skilled Canadian Occupation List. Canada has the shortage of Cyber Security Experts. So in the future, This IT Profession will be more in demand in Canada as well as in Other Countries also. Conclusion, The IT Students who have Good Knowledge in their field can easily get Permanent Residency and will have a luxury life in Canada. I hope this information is very useful for you if you want I should create more posts like that, please leave a quick comment below.